The greatest potential for reducing commissioned positions will come from the merging of departments and ministries. RIO DE JANEIRO, BRAZIL – Brazil’s federal government plans to save R$209 million per year, by cutting over 20,000 commissioned jobs, according to the Special Secretariat for Debureaocratization, Management and Digital Government of the Ministry of Economy. Chief of Staff, Onyx Lorenzoni, dismissed 300 employees from his staff during the first days of the Administration, photo by Antonio Cruz/Agencia Brasil. “We are still closing the numbers, but the goal is the same (20 thousand positions),” guaranteed Secretary Paulo Uebel last week when welcoming the new Congressional legislators. President Jair Bolsonaro is expected to sign the decree later this month decree added Uebel. The Ministry of the Economy, however, did not detail the distribution of the changes by departments or types of positions. The change will not necessarily mean that 20,000 people will be fired. According to the government body, the decree intends to adapt the structure to the needs of the public administration and avoid the increase of the expenses by downsizing departments and doing away with some gratuities. 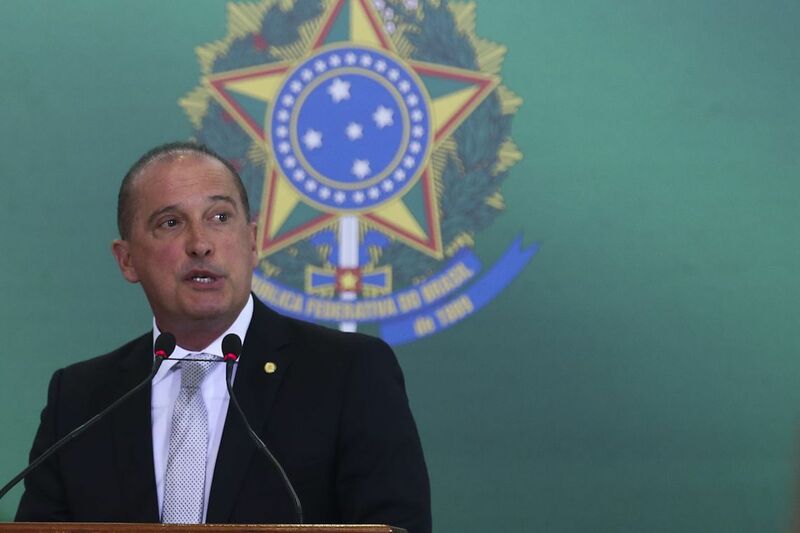 The greatest potential for reducing commissioned positions, however, lies within the merging of departments and ministries, one of which is the Ministry of Economy, which with the Bolsonaro Administration incorporated the public security department and the Labor Ministry. The Ministry of Citizenship brought together the former Social Development, Culture and Sports Ministries while the Ministry of Regional Development was born from the merger of the former Ministries of Cities and National Integration. During the first days of the Administration, Bolsonaro’s Chief of Staff, Onyx Lorenzoni laid off three hundred employees from the staff, stating he was dismissing all those with a ‘political bias’ against the new administration. “We are going to take away from the federal public administration all those who have a clear ideological bias,” noted Lorenzoni at the time.